CHICAGO (WLS) -- Police are warning business owners in Chicago's Albany Park neighborhood to be alert after burglars have targeted storefronts there. 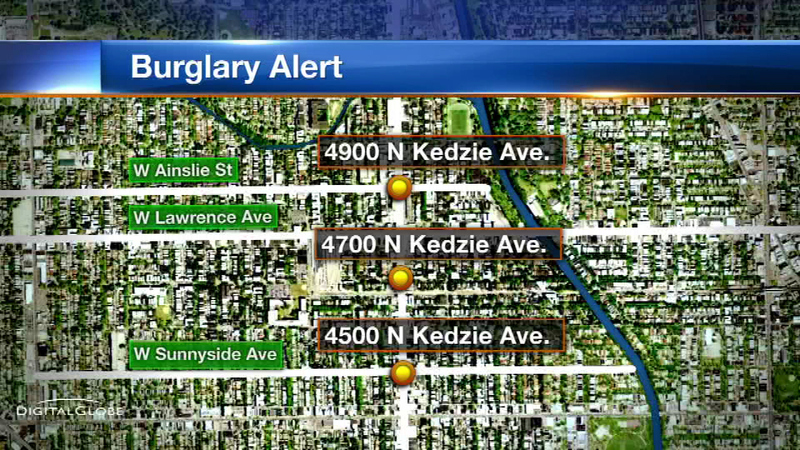 The break-ins on the city's Northwest Side began on New Year's Eve. The most recent happened last Tuesday. Police said the thieves broke into businesses on Kedzie by shattering the front glass door or window before stealing the property inside.